Fragrant, colorful, and beautiful we don’t need to describe what roses are. This flower is edible and has many culinary and medicinal uses. Learn about the 10 ways to use rose petals in this article! Roses are the most beautiful flowers in the world. Known not just for their beauty but many medicinal and edible uses, roses are truly the best in all the flowers. 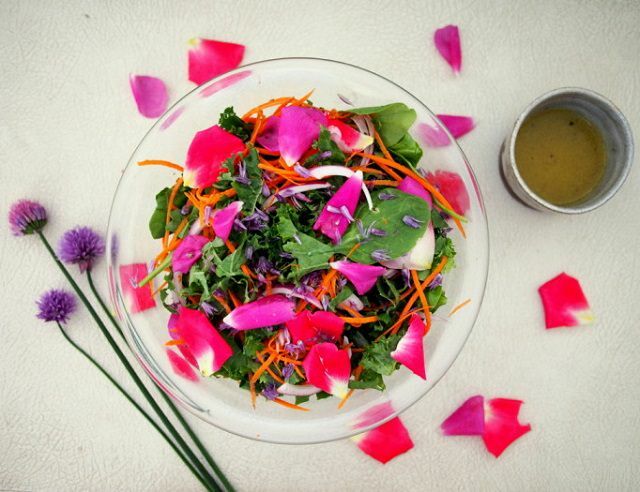 Eating greens is great and healthy, but if they do not look interesting enough and you want to dress up your salad then using rose petals is a great idea. All rose varieties are edible and available in colors like light pink, red, yellow, blue, mauve and orange, no doubt adding them to your salad can give a nice contrast. Not only do they look great, they smell nice, and taste amazing too. Get the recipe here. Tired of eating the same regular buttered or cheese toast each day? Well, you can make things different in an interesting yet easy way. Just spread your toast with anything you desire and then add some fresh petals over it. White petals will look great if you have used nut or brown butter, and red petals look great on cheese toasts. Rose water is immensely beneficial for your skin and this, in fact, is one of the most popular rose petals uses. Though you can easily get a readymade rose water bottle from the store, making it fresh at home will offer more benefits. So, get some fresh rose petals and use distilled water to make fresh rose water. Learn how to make rose water, step by step here and here too. Rose petals have antiseptic, antibacterial, and antiviral properties, so if you have a little cut while working in the garden, you can apply a rose petal over the wound, hold it in place for a while, and see it heal. If you suffer from a sore throat then you can take a few rose petals, mix it with honey, and consume it. Drinking rose tea helps move blood and gives great relief from menstrual cramps. You can also drink this tea to get a relief from diarrhea. To make rose tea fill a mason jar with dried petals till the brim, and pour boiling water to cover the jar. Cover the lid and allow it to stay overnight or for at least for 4 hours, strain, and drink it. Roses are known for their healing and emollient properties, and rose oil can be a great cure if you are suffering from eczema or rosacea. You can also use it as a massage oil and enjoy great relief from taut nerves. 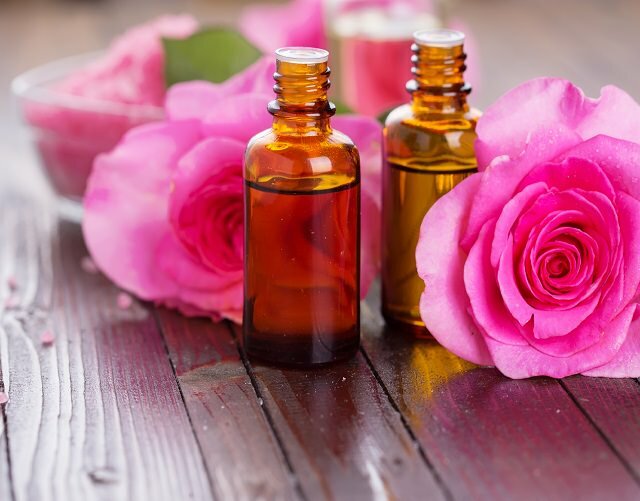 To make rose oil at home you need to fill a mason jar till the brim with fresh petals and add sweet almond or olive oil over it. Mix it well and let it stay in your cupboard for at least 6 weeks, then strain, and use it. Rose petal tea is great for both female and male reproductive systems. In females, the bioflavonoid found in roses helps produce more estrogen, and in males, it helps improve sperm quality. The phytosterol present in the tea further helps in balancing the hormones. So, drink at least a few cups of freshly made rose tea to enjoy great benefits. Rose petals in potpourri are so common, so why not make one at home. A very cheap yet effective way is to add some dried rose petals in a paper envelope, seal it, and keep it in your cupboard. The next time you open your cupboard you will be welcomed by an amazingly sweet smell. Roses have been used since long to relieve depression, tension, and stress, and to improve mood. You can make some delicious rose petals jelly and use it to enhance your mood. To make the jelly you need to prepare about 400 ml of rose tea and add a teaspoon of stevia into it. Pour this in a glass pot and let it boil. Now remove it from heat, add one packet of gelatin, mix it well, and let it set in the fridge. 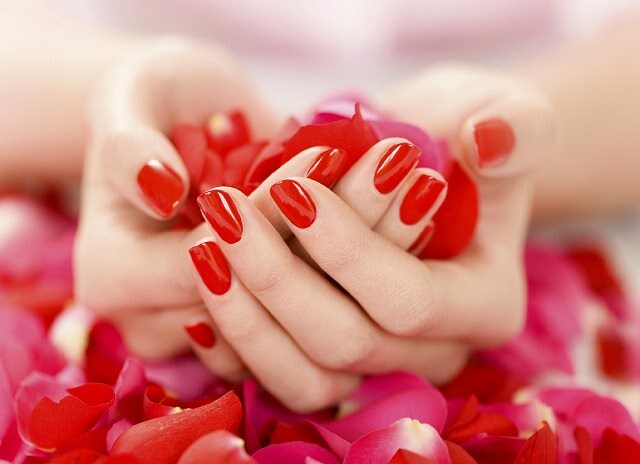 Rose petals have the power to relax and invigorate you. So, the next time you feel tired and dull, just add a cup full of dried rose petals into your bath water, together with some Epsom salt, and soak yourself and enjoy this sweet, calming experience and relaxing time.